The Best Property Magazines from thousands of Property Magazines on the web using search and social metrics. Subscribe to these websites because they are actively working to educate, inspire, and empower their readers with frequent updates and high-quality information. CONGRATULATIONS to every Magazine that has made this Top Property Magazines list! This is the most comprehensive list of best Property Magazines on the internet and I’m honoured to have you as part of this! I personally give you a high-five and want to thank you for your contribution to this world. Property Magazine newsletter is a comprehensive summary of the day’s most important blog posts and news articles from the best Property Magazine websites on the web, and delivered to your email inbox each morning. To subscribe, simply provide us with your email address. New York, NY About Blog National Real Estate Investor is the leading authority on commercial real estate trends. The magazine’s readers represent a cross-section of disciplines — brokerage, construction, owner/development, finance/investment, property management, corporate real estate, and real estate services. Facebook fans 5,339. Twitter followers 11,171. Australia About Blog Australia’s leading property investment magazine. The latest investment property news and commentary about the Australian property market from the Your Investment Property Magazine team. Facebook fans 14,646. Twitter followers 19,226. United Kingdom About Blog Property Week is an invaluable resource to all those involved in the property sector. It brings us useful and insightful news whether in print or online and has become a market leader in the world of property magazines. The latest property news, events and valuations from the commercial property market. Property Week covers property investment, residential and commercial. Facebook fans 3,285. Twitter followers 66,327. UK About Blog The Property Hub Magazine contains a quarterly update of everything a property investor should know, think and do. Written by some of the UK’s top property journalists – with contributions and case studies from members of The Property . It’s an easy and entertaining way to keep up with every aspect of UK property investment. Facebook fans 5,373. Twitter followers 4,635. New Delhi, India About Blog Realty Fact is a globally read magazine that publishes, distributes and syndicates real estate and property market news, rates, reports, investment trends and industry data. We are dedicated to provide perfect information on Indian real estate industry. Facebook fans 13,976. Twitter followers 2,307. Mumbai, India About Blog India’s 1st Real Estate Monthly Magazine with reports, surveys, analyses and expert views on variety of real estate in India. Facebook fans 3,893. Twitter followers 343. Cape Town About Blog South Africa’s leading print and online magazine and targeted at investor’s who want to build wealth through property investment. REIM is designed to be a helpful guide that provides readers with valuable advice, tips and actionable information investors and landlords need to make better investment decisions. Facebook fans 11,925. Twitter followers 3,742. London About Blog London Property Magazines, showing London’s premier properties from three quality, glossy property magazines covering; North West & Central; Central & South and Islington City & Docklands areas of London. Facebook fans 968. Twitter followers 3,676. Frankfurt, Germany About Blog The widest-read source of news-intelligence on pan-European professional real estate investment, Property Investor Europe is trusted primary reading for institutional executives and capital allocators across the world. PIE’s mission is to deliver high-value news and market intelligence to US & global investors for property decision-making in mainland Europe. Facebook fans n/a. Twitter followers 664. 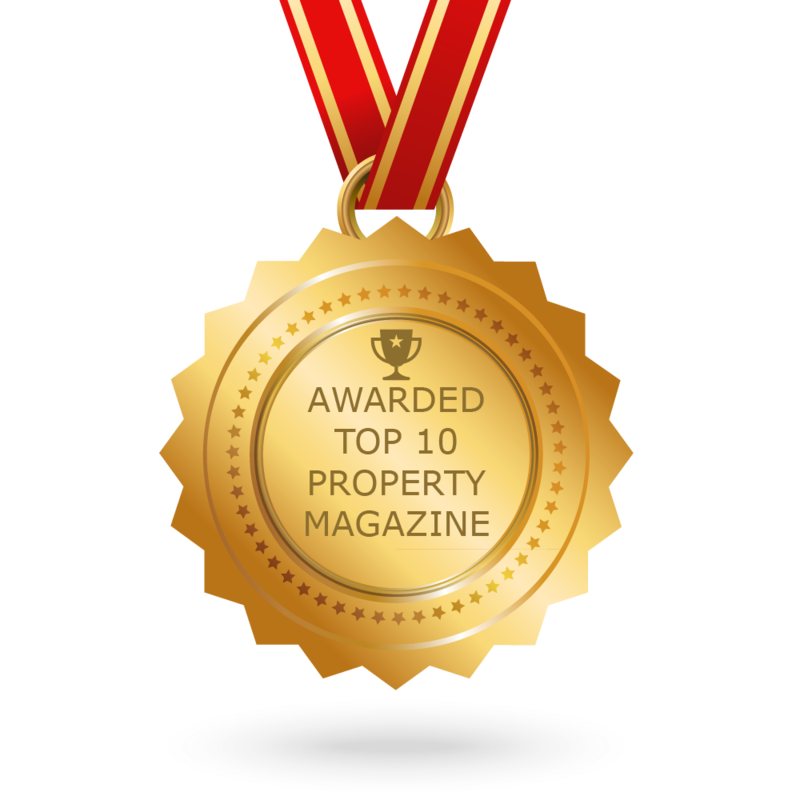 The post Top 10 Property Magazines And Ezines To Follow In 2018 appeared first on Feedspot Blog.